Discussion in 'iPhone and iPad Games' started by pixbox_st, Nov 23, 2014. 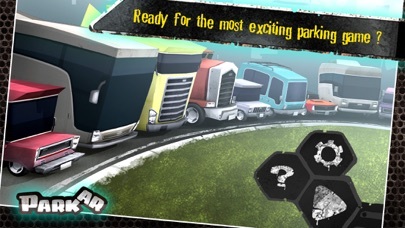 Are you ready for the most exciting parking game available? 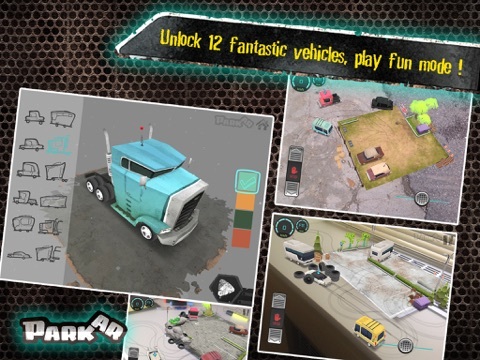 Park AR is an augmented reality game that will lead you to a gaming experience that you never experienced before. Using AR technology you can merge the Park AR game with your real environment. 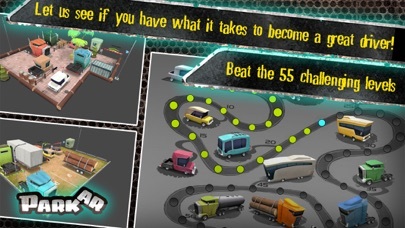 Game is made up of 55 challenging levels and a variety of cars&trucks. 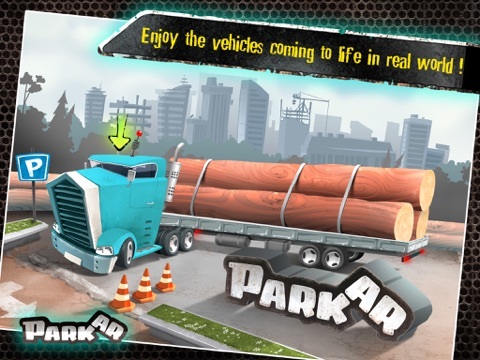 Your task is to surpass all of the parking obstacles, and to drive the indicated vehicle from its starting position to the out of the parking lot. 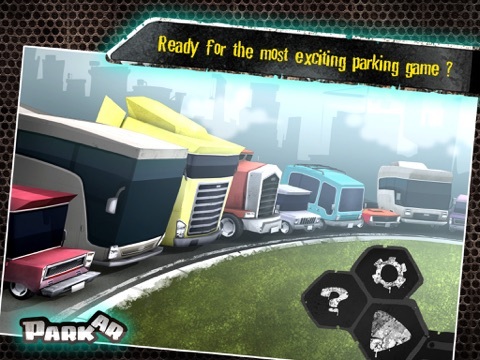 Unlike any other parking games, you have the control of all vehicles in the parking lot. Tap on the vehicle you want to control. Keep in mind that you have to restart the game as soon as any of the vehicles gets too damaged. 1. 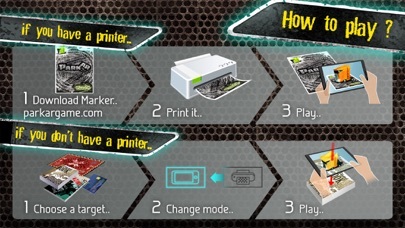 Download the Marker from the link (www.parkargame.com). 3. View the Marker through the app. 2. Hold your device parallel to the plane you want to play. 3. Touch Create New Target button. 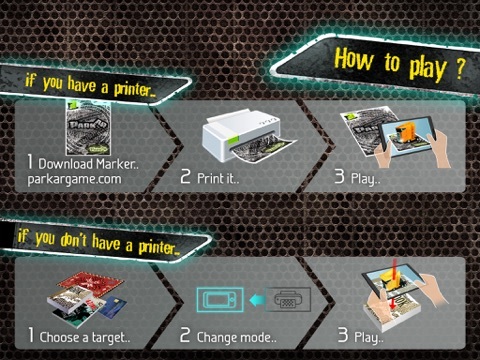 Look at "How to Play" scene from main menu for more detailed information. Enjoy the vehicles coming to life in real world. I just love design of those vehicles, every single one of them! Also, the game's pretty amazing, especially when you're having fun in Free Mode, leaving printed plane with your vehicle results in driving on the floor, table or whatever your background is. It's amazing. Only issue, and I have to say a major one is the difficulty in Parking Mode. It's incredibly difficult because any minor collision with another car or bigger part of an environment results in immediate failure. There's a "health" bar but very VERY sensitive one. Driving in Free Mode is perfect and a lot of fun, unfortunatelly all the vehicles are locked and you need to accomplish certain amount of stages to unlock them. 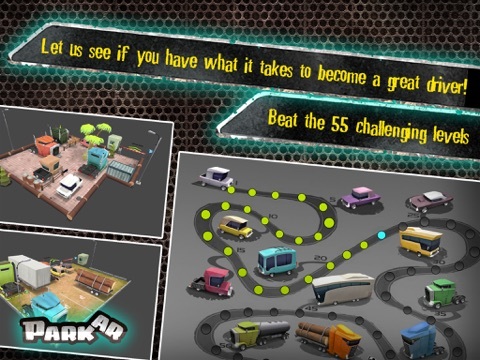 Every 5 successful stages unlocks 1 vehicle. It'd be fine if the difficulty was appropriate. I finished 8 stages and that's it. 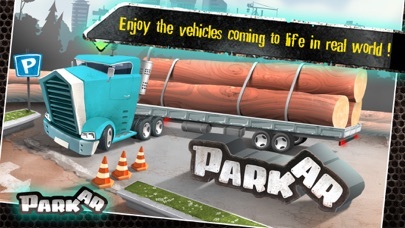 The Parking Mode becomes too frustrating very soon because of the unbalanced difficulty. And it's a shame! I'd love to play with all those vehicles there, there's just no way to unlock them under those circumstances I mentioned above. If there was an IAP to unlock the vehicles, I'd be more than happy to pay. But there's no such thing. Please, if the developer finds this, is there a way to adjust the difficulty? To be more tolerant? 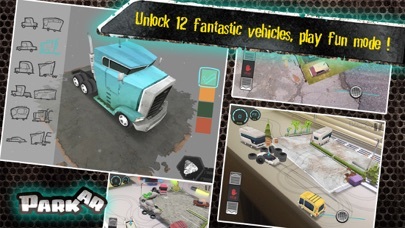 Or at least adding a single IAP to unlock those beautifully designed vehicles? I'd appreciate it. Thanks! Nice write up! I totally agree. I had a lot of fun with this back when it was released. I never got through the whole game though. Thanks for bumping this. Time to reinstall. We, as a team, are very glad to hear your thoughts about Park AR. Yes, we are planning to make it easier in the coming updates. Yes, we are planning to make it easier in the coming updates. Wow, that's amazing! I appreciate that you care! Just out of curiosity, is there an ETA for incoming update? Hopefully, less than a month. Now you made my day! Great to hear that. Thank you, fingers crossed!